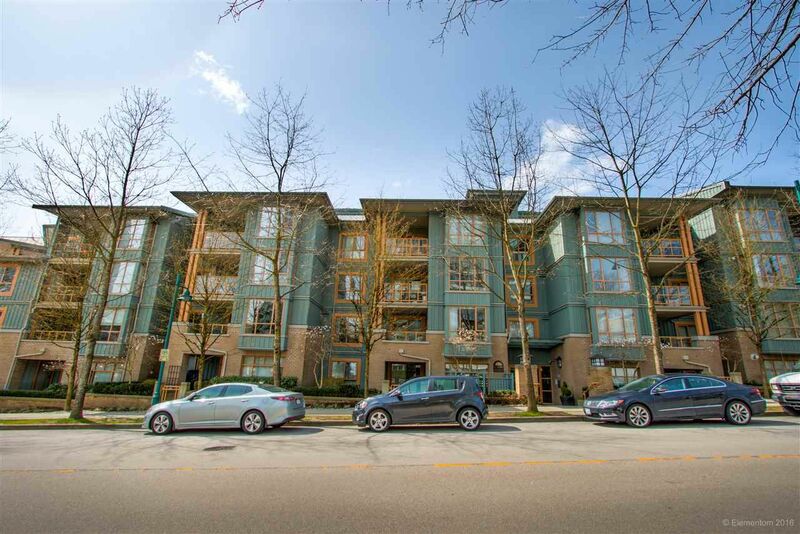 This spacious one bdrm plus den unit is located in "The Belcarra" right in Newport Village. The unit on the quiet side of the building facing the courtyard. Shopping, restaurants are at your doorstep plus steps to the Community Centre, Rocky Point Park and Evergreen Skytrain. Open concept living. New Tile and laminate flooring throughout, Kitchen has been renovated with new island, cabinets, tile backsplash, granite countertops, under mount sink & appliances. French doors to your large den that is currently being used as a second bdrm. Living rm w/gas fireplace and sliders to your patio. Master suite with full ensuite and walk-in closet plus sliders to your private covered patio. Pleasure to show!